The bill, aimed at reforming Germany’s spy agency, the Bundesnachrichtendienst (BND), was adopted by legislators on Friday. 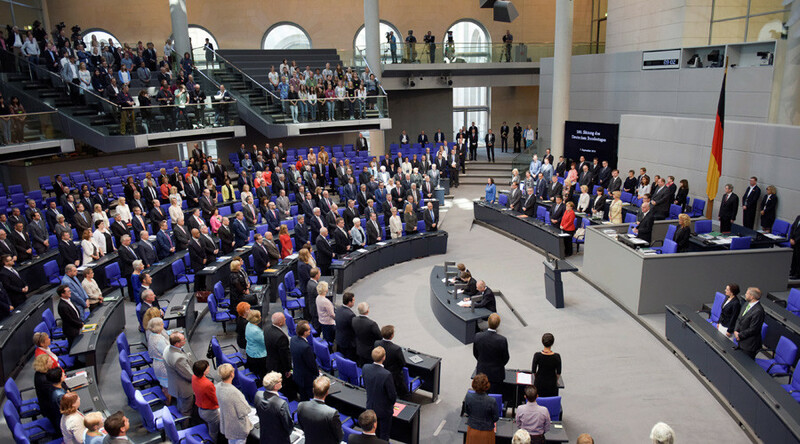 MPs from the ruling Christian Democratic Union party (CDU), the Christian Social Union (CSU) and the Social Democrats (SPD) voted in favor, while the majority of opposition lawmakers voted against it. 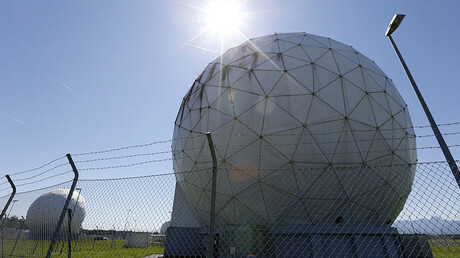 According to the bill, the BND will be able to spy on facilities of the EU in case of interior and external security dangers, as well as risks to Germany’s defensive capabilities. The agency will be also able to act when there is "a perception of foreign and internal political and security importance.” The wording is considered by critics to be “too general,” Germany’s der Spiegel reports. The latest bill comes in the wake of 2013 revelations by a former employee of the US National Security Agency (NSA), Edward Snowden. The leaked documents pointed to the fact that the NSA widely spied on Americans as well as foreign leaders and officials. They have also shown that the BND acted on behalf of the NSA while spying at home and abroad, spurring outrage among the German public and many local officials. However there has been no complete wrap up in the cooperation between the BND and foreign intelligence services, including the NSA. The bill, passed on Friday, allows sharing information for anti-terrorist purposes and aiding the foreign missions of the German Army (Bundeswehr). Data regarding the security situation for German citizens abroad can be also shared with international spy agencies. The BND has furthermore been granted the right to monitor all the network data of all German telecommunication companies in the country. Prior to the new ruling, the spy agency was allowed to proceed with the notion only in 20 percent of the cases. Under the ruling, the collected data will be stored for six months and can be shared with the foreign intelligence institutions. "Where the BND is to gather data on behalf of the Federal Government and in accordance with the constitution, there are now legal foundations and a functioning control," Flisek told the Tagesschau. Apart from widened powers for German intelligence, the new legislation also sees tighter control for the agency. The BND will be controlled by a “three-headed” commission, consisting of two judges and one federal attorney. The commission should be consulted by the German Chancellor’s Office (the Bundeskanzleramt) and give its approval on sensitive issues, such as spying on EU facilities. A separate post of a “permanent commissioner” will be also introduced to monitor and coordinate the already existing parliamentary oversight over the BND. Once a year, the respective parliamentary oversight will host an “open” hearing with the president of the intelligence agency. Initially similar sessions have been held behind closed doors. In addition, any eavesdropping of international telecommunication networks should be now approved by the Bundeskanzleramt after a request by the BND chief. Despite a list of improvements for the control of the BND, opposition lawmakers raised alarm bells over the new law, calling it “unconstitutional.” Green Party spokesman for Internet policy Konstantin von Notz told the Deutsche Welle that the ruling creates an extralegal space. "Constitutional experts, UN human rights specialists, Reporters Without Borders, German public television and many people who have intensively investigated the topic say that this is an unconstitutional law. The intelligence services treat the Internet as an extralegal space. That's unconstitutional," von Notz said. On October 17, Amnesty International called for protests against the BND law, saying that it is “grave interference in the human rights.” The group also joined other rights moves and journalist organizations in several petitions against the bill, which collected some 20,000 signatures. "The BND was initially the youngest brother of the NSA, now they are twins,” Martina Renner from the German Left party (Die Linke) said, referring to the new BND law. Her colleague from the Green Party, Hans Christian Ströbele, echoed the criticism, claiming that the Government of Chancellor Angela Merkel has missed the last chance to “put a leash” on the intelligence agencies, Focus reports. Meanwhile, Germany’s ex-Justice Minister Sabine Leutheusser-Schnarrenberger said she will go to court over the BND ruling. “The German foreign secret service, which lies deep in the mire of illegal surveillance alongside the USA and Great Britain, has received new, extended powers which are partly unconstitutional," she said, as quoted by the FAZ. 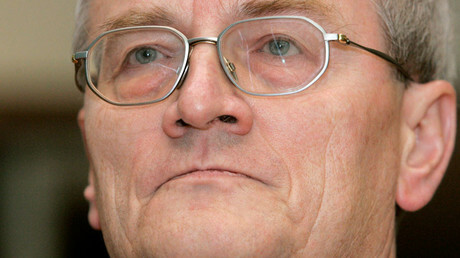 The new bill “simply legalized” the unlawful practices by the BND, Frank Herrmann, a member of the parliament of North Rhine-Westphalia, told RT. He also vowed to take the matter to the Constitutional Court. “We should not expand spying on each other within Europe. We are trying to stop it and this new law does not help here,” Herrmann said.